Yamamoto was the mastermind behind the Pearl Harbor attack, and commander-in-chief of Combined Fleet until he was ambushed by American P-38s near Bougainville on 18 April 1943. He was a staunch opponent of war against the United States, where he had been assistant naval attaché and had seen first-hand the industrial might and abundant natural resources of his future enemy. However, once given the order to plan a war against the U.S., he pushed the only strategy that made sense to him: a devastating initial blow followed quickly by a negotiated peace on terms favorable to Japan. As it turned out, Yamamoto badly misread the American temperament. The attack on Pearl Harbor infuriated the Americans and made it all but certain that there would be no negotiated settlement. Yamamoto must have known by the time of his death that Japan was doomed. But, in keeping with the Japanese national and military mystique, he fought on to the end of his life. By all accounts, Yamamoto was a charismatic and beloved leader. He was born Takano Isoroku, the given name being Japanese for 56 -- the age of his father when he was born. 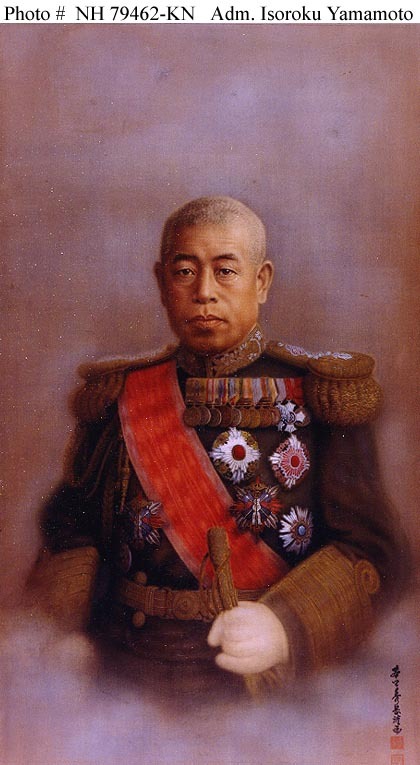 He was adopted by the Yamamoto family when he was a very young naval officer, an arrangement that gave Isoroku the prestige of the Yamamoto family name and gave the Yamamoto family a promising male heir. This was not an uncommon practice in Japan. 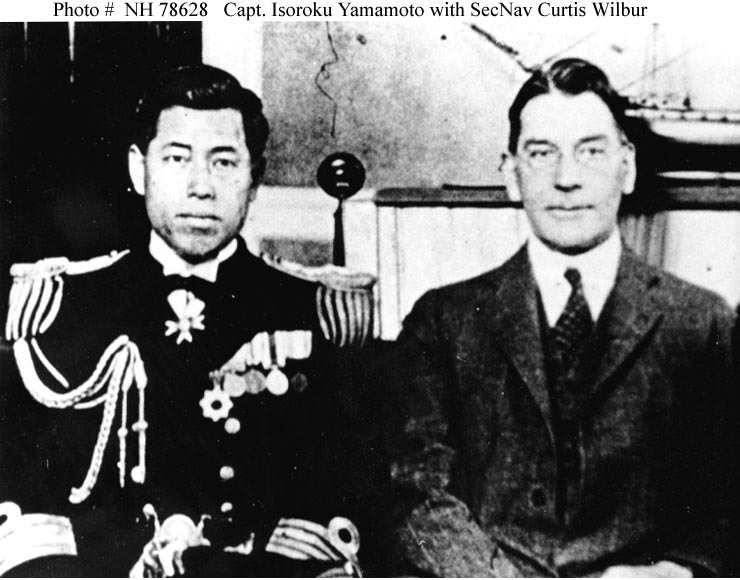 Yamamoto graduated from the naval academy in 1904, just in time to participate in the Battle of the Japan Sea. He was badly wounded in the engagement, losing two fingers. The explosion responsible was said to be due to a shell hit on the barrel of a gun near Yamamoto's station, but there is some evidence the explosion was internal and due to faulty ammunition. Yamamoto subsequently passed both the "B" (1911) and "A" (1916) courses of the Naval Staff College. Yamamoto was assigned as commandant of the Navy flight school at Kasumigaura from 1924 to 1925 and was a strong proponent of naval air power. 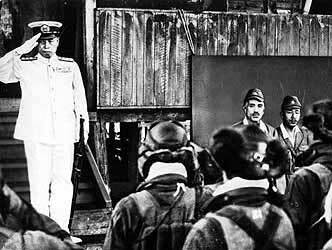 His tenure at Kasumigaura was characterized by a crackdown on the daredevil elitism of the cadets and an insistence on rigorous training to bring the mass of prospective aviators up to the necessary standard of competence. In 1932, as chief of the Technical Bureau of Naval Air Command, he had promulgated a plan for the Navy to break its dependence on foreign aircraft designs. He had personally pushed for land-based naval bombers with immense range, but the resulting Betty bomber, though fast, was a firetrap. 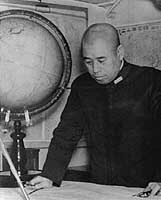 Ironically, Yamamoto had been chosen as the Japanese naval representative to the desultory 1934 London Conference, where he dutifully presented the Japanese position:Japanese naval parity and the elimination of all battleships, cruisers, and carriers. He must have known that this would be unacceptable to the British and Americans and would simply provide Japan with an excuse to denouce the disarmament treaties. ... after more than four exhausting years of operations in China, we are now considering simultaneous operations against the United States, Britain, and China, and then operations against Russia as well. It is the height of folly. Although we in Tokyo were against the Pearl Harbor plan, Nagano had the utmost confidence in Yamamoto's abilities and judgment. He finally agreed because he knew Yamamoto's position and influence in the Japanese Navy were unique. He was in truth a leviathan among men. But not all his colleagues impressed by the Yamamoto mystique. 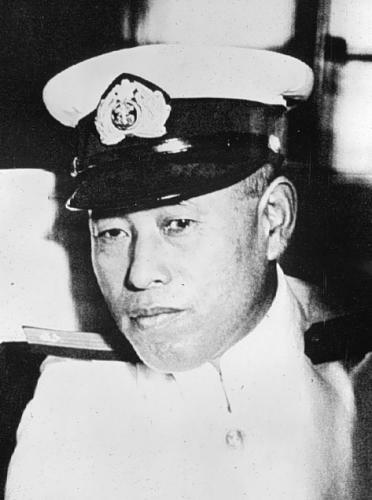 The Navy General Staff opposed both the tactically successful Pearl Harbor raid and the disastrous Midway operation, and Nagumo, commander of 1 Air Fleet, was a political and strategic adversary within the navy. As an admiral, Yamamoto was excellent at getting the best out of his men, but was better as a strategist and visionary than as a tactician. 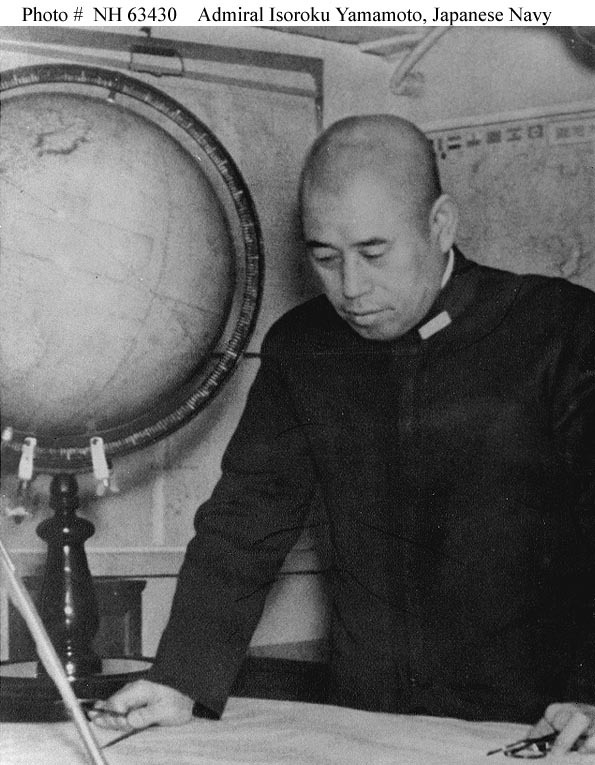 In his 7 January 1941 memorandum "Views on military preparations" (Gumbi ni kansuru shiken) he correctly predicted that the ascendancy of aircraft and submarines meant that the Great Decisive Battle would never take place, and called for the Navy to expand its air forces and better train its commanders for the numerous small engagements that would take place instead. However, he never won a battle that he personally supervised; the early Japanese successes were all directed by subordinate commanders. His operational plans violated such basic military principles as concentration of force and maintenance of the objective, and his battle tactics betrayed a lingering battleship mindset, as does his willingness to trade carriers for battleships in the Pearl Harbor attack. He could probably have choked off the American forces at Guadalcanal if he had been willing to commit the full power of Combined Fleet, but he failed to do so, and Guadalcanal became the decisive campaign of the Pacific War. Yamamoto was short even for a Japanese, standing just 5'3" (160 cm) tall. He loved gambling and consorting with geisha but drank very little. He was also a bit of a joker, once entertaining other passengers on an ocean liner by doing handstands on the railing. He could be very stubborn, as when he threatened to resign rather than drop the Pearl Harbor attack plan in the face of Navy General Staff opposition. He also had a temper, which when provoked led him to stamp on the deck until his cabin shook. He kept a Bible and read from it daily, a habit probably acquired from the American missionaries who taught him English as a young man, but he was in no sense a Christian. Though a patriotic Japanese, he seems to have genuinely liked America, maintaining a subscription to Life magazine, enjoying American football, and expressing his admiration for Abraham Lincoln as a great human being. Yamamoto was skilled in calligraphy and wrote a great deal of (not very good) poetry. Is it good to repeat time and again the midget submarine attack that was used at Pearl Harbor? It was acceptable then because so much seemed to depend upon that attack. But it is almost certain suicide; it is outrageous from the standpoint of command leadership. No matter how great and worthy Admiral Yamamoto is, if he resorts to suicide tactics, historians will condemn him for it a hundred years hence. It may be significant that Onishi Takijiro, the leading proponent of the kamikazes, was a close personal friend of Yamamoto. 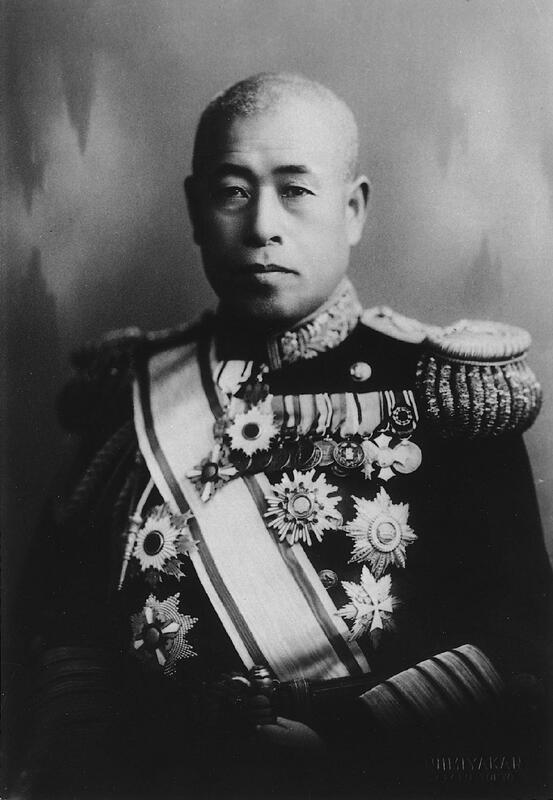 Had Yamamoto survived the war, he might have been hanged as a war criminal for insisting on the Pearl Harbor attack, but indications are that he expected to join his men who had already died in combat, and, like his chief of staff, Ugaki, he seemed to be waiting for the right time and place for his death. Should hostilities break out between Japan and the United States, it would not be enough that we take Guam and the Philippines, nor even Hawaii and San Francisco. To make victory certain, we would have to march into Washington and dictate the terms of peace in the White House. I wonder if our politicians, among whom armchair arguments about war are being glibly bandied about in the name of state politics, have confidence as to the final outcome and are prepared to make the necessary sacrifices. Yamamoto had a sarcastic streak and no illusions that Japan was capable of fighting its way across the United States. However, a distorted version of his statement was published by Japanese nationalists who deleted the last sentence, creating the impression that Yamamoto actually advocated a complete conquest and occupation of the United States. This distorted version was then quoted in Allied propaganda, cementing the reputation among the Allied publics of Yamamoto, the perpetrator of Pearl Harbor, as a villain. On 18 April 1943, two days after concluding I-Go, Yamamoto flew to Bougainville to conduct an inspection and congratulate his fliers on their supposed success. His itinerary was broadcast in a code that had been broken by Allied intelligence, and Roosevelt approved a recommendation by Nimitz and Halsey that an attempt be made to shoot Yamamoto down. Sixteen P-38 Lightnings from Guadalcanal were allocated to the mission, and they carefully timed their flight to arrive off the Bougainville coast at 0935. Yamamoto and his staff, flying in two G4M "Betty" bombers escorted by six Zeros, were also precisely on time. Both Japanese bombers were shot down, along with three of the Zeros, at the cost of one of the Lightnings. Yamamoto's plane crashed in the jungle with no survivors. The other "Betty" ditched in the ocean, and some of its passengers survived, including chief of staff Ugaki. Japan did not publicly acknowledge Yamamoto's death until 21 May 1943, and his ashes were returned to Tokyo for a public funeral on 5 June. His replacement as commander of Combined Fleet, Koga, was probably at least as good a strategist, but Koga did not command nearly the same level of affection and respect within the ranks of the Navy as Yamamoto. Yamamoto's death was a severe blow to Japanese morale.